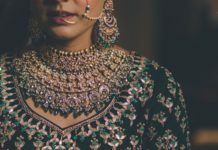 5 JEWELLERY PIECES A MILLENNIAL BRIDE MUST OWN - Wedding Affair var admin_url = "https://weddingaffair.co.in/wp-admin/"
It’s delusional to spend half a fortune buying expensive jewellery nowadays. Every bride has a notion to look perfect after marriage and jewellery is the most exquisite way to flaunt your bridal enchantment. It’s must to opt for subtle jewellery that you can pair up with multiple attires yet reviving your bridal vibe. 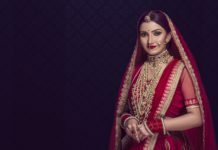 Play it smart with these five jewellery pieces that a millennial bride like you must own. Ditch those heavy kadas (cuffs) and unmanageable sets of bangles. 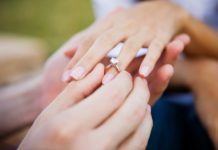 Those bare hands of your will look stunning with these oh-so-light cocktail rings. A classic way to make your outfit look edgy and traditional with so little painstaking. Embellished to oxidized, it’s all you need. Cheap jhumkas can actually take your look a notch up. Whether you are attending a casual dinner party or a friend’s engagement party, you can never go wrong with jhumkas. A heavy anarkali with jhumkas will make you look elegant while a plain kurti paired up with jhumkas can give you subtle modish look. Of course, you wear sarees a little more often now. Long necklaces can give you a statement look at all times. Long studded necklaces can make you look gorgeous and is a must-have accessory for you. You can experiment pairing it with other outfits as well. If you think wearing dazzlers and heavy earrings can look a little too offbeat for your workplace. You can always go for simple classic solitaire studs. Solitaire studs add to your beauty when you pair them with your cocktail dresses or evening gowns as well. When you have a vibrant makeup face on with heavy outfits, you can always keep the jewellery minimal yet remarkable. Cuffs of variant widths and adornments can be your real saviors.